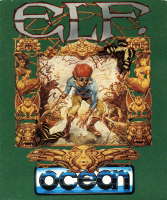 If anyone out there still has an original boxed game by Ocean software, would they be kind enough to provide a high resolution scan please? Preferably not in the evil JPEG format, and not obscured by any other artwork on the box. Last edited by XtC on Thu May 15, 2008 11:58 am, edited 1 time in total. Actually, I've just realised I must have an Ocean advertisement in one of my magazines. That will suffice. I won't need any help thanks - not that I had any response anyway! May I ask (a year later!) what the scan was needed for? 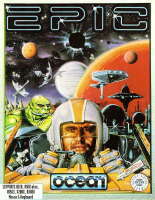 Ocean was one of my favourite game developers for the Spectrum. They also had one of my all-time favourite developer logo's, behind Electronic Arts original logo (Square, triangle & circile) and Bitmap Brothers (hand imprint). Lonewolf10 wrote: May I ask (a year later!) what the scan was needed for? I'd like to add a hi res scan to Bob Wakelin's page on the ExoticA wiki.